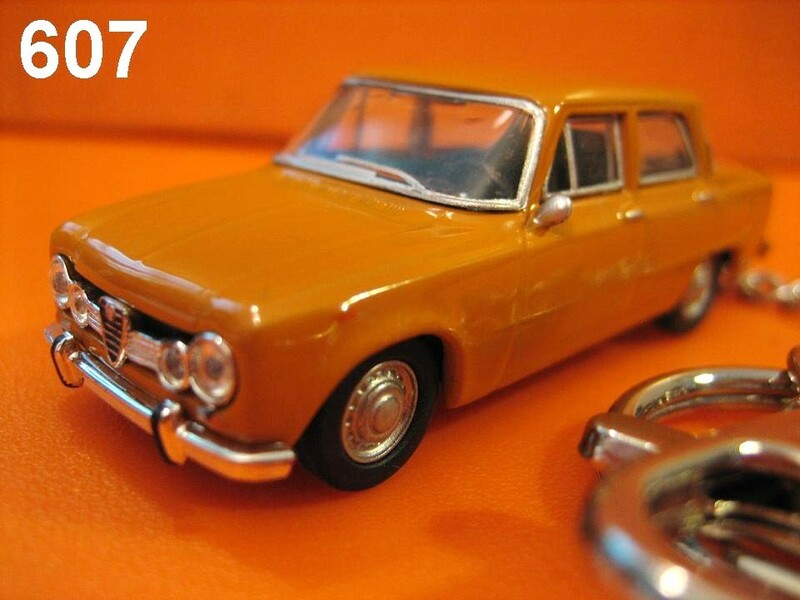 Custom Alfa Romeo Giulia TI (Vintage Orange) Die-cast Key Chain, 1pc (one), die-cast length: approx. 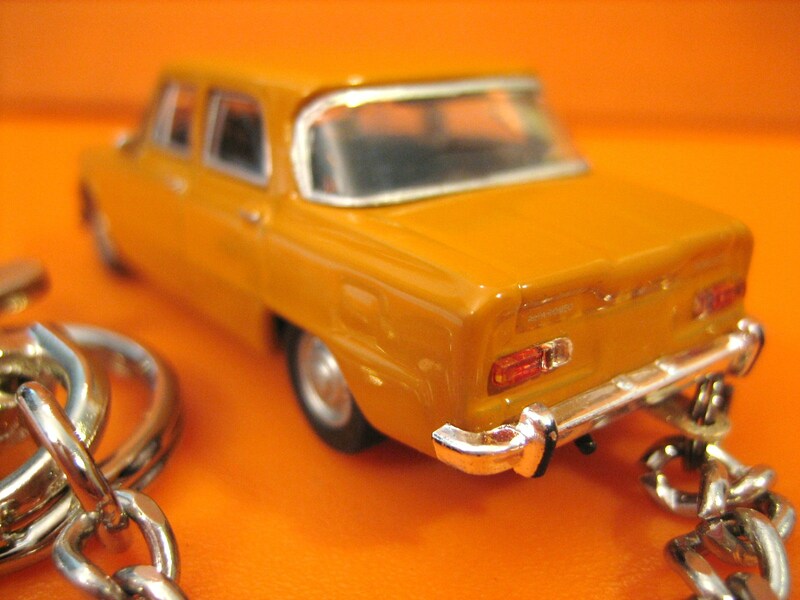 1 5/8inch (4.2cm); chain length: approx. 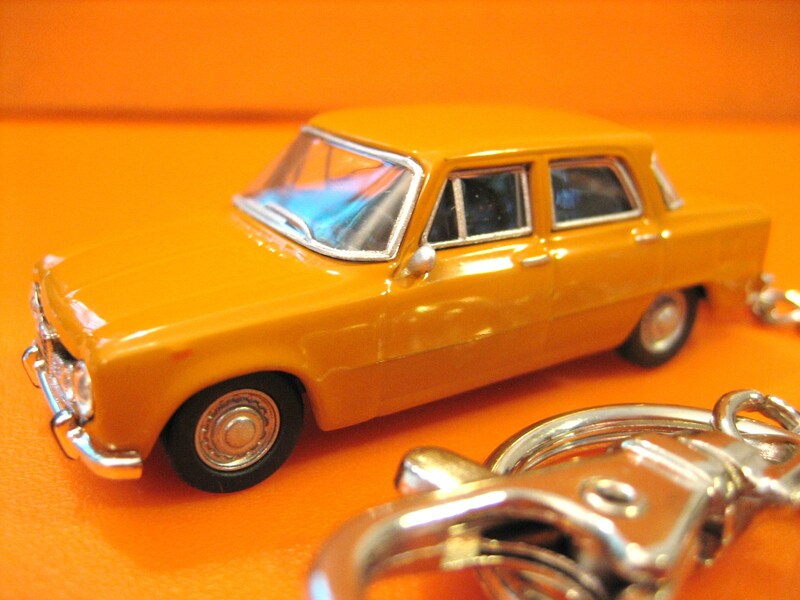 4inch - This custom-made key chain is made of highly detailed DIE-CAST metal model, NOT plastic model - Free rolling wheels, durable metallic car body w/ detailed plastic interior, finished w/ excellent glossy paint that can last for a long time - Hard (solid) die-cast metal body w/ a durable nickel-plated steel chain, a round ring & also another flexible "Lobster Hook" buckle INCLUDED (pls note our unique "ring-with-buckle" special key ring design as pictures shown) - Round Ring: used for holding keys; "Lobster Hook" Buckle: allow easily hanging on anywhere - A great gift for car enthusiastic collector / unique personal accessory for car owner ! !